Casino Vacations Press, Inc., 9781883768287, 480pp. 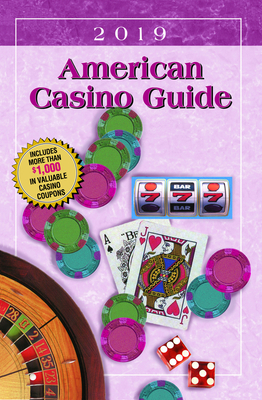 For extra savings, the book also contains more than 200 casino/travel coupons valued at more than $1,000. Offers for FREE: rooms, meals shows, drinks, gambling bonuses and more! There are also of tips on how to always get the most value for your money by taking advantage of casino promotions and slot clubs. The book also discloses the actual slot machine payback percentages for every state's casinos. And, for RV travelers, the Guide notes which casinos have RV parks and whether or not the casino will allow an RV to park overnight for free in the parking lot. A must for anyone planning a visit to a casino! Steve has more than 40 years of experience in the gambling industry and is a former marketing executive at a South Florida gambling facility. His "how to gamble" videos have been viewed more than 22 million times on YouTube and his casino travel articles have appeared in Fortune, Bestfares.com and the inflight magazines for Spirit Airlines and Continental Connection. He has also written numerous articles for gaming magazines, including Chance, Double Down, and The Gambler, Canada's largest circulation gaming magazine.